Emailed from the Winterhaven administration (Mark Sandilands, principal, and Nancy Cooper, Principal’s Secretary) to Winterhaven's parent email list (separate from the PTSA email list). Typically this is emailed on Thursday afternoons. Please send Nancy Cooper content by EOD Tuesdays to get it into Thursday's Weekly. See News from the Secretary. 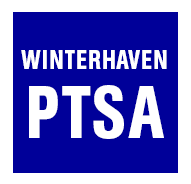 Emailed by the PTSA to the PTSA_all email list, the PTSA sends out periodic updates from the PTSA president, members of the PTSA Board, or the Winterhaven community. See Communications for more updates.